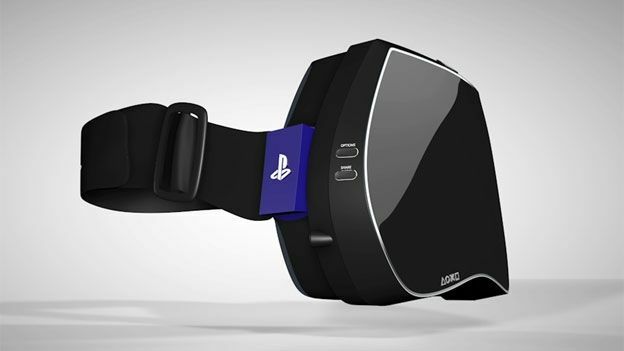 What if Sony decided to make an Oculus Rift for the PS4? PlayStation has said publicly that it has Oculus Rift dev kits in the office and Shuhei Yoshida, Sony Computer Entertainment head of Worldwide Studios, admitted that he liked it. What if Sony teamed with Oculus? What would a PS Rift look like and what could it do? With the Oculus Rift HD and Sony HMZ-T2 in mind, we came up with this unofficial concept render. Well, our talented Audio Visual team has made the above mock up for you to peruse at your leisure. We hope you enjoy it. Since Sony was the manufactuerer that brought console owners 3D gaming during this generations - yes, yes, we know PC gamers have had that for ages - it wouldn't be such a stretch to summise it would also be looking into technology that could completely immerse players in their gaming experience. Our own Deputy Editor, Matt Hill managed to get a hands-on - or should that be the head-on - with the Oculus Rift at this year's E3 video games expo in Los Angeles in June. He was suitably blown away to the point where he considered playing games back at home on his HD set something of a disappointment after wearing the Rift.